Kudos To School Music Teachers! Thankfully a lot of my piano students go to schools where they have a music class. I am always so impressed when a student arrives to their piano lesson and tells me about a concept they learned in music class at school. These teachers really make my job a lot easier. So, in honor of Teacher Appreciation Week I’m dedicating this post to my students’ school music teachers. The kids and I spelled out their names rhythmically. Kudos and thanks for all you do, school music teachers. You’re Awesome!!! Thanks Dana for doing that!!! 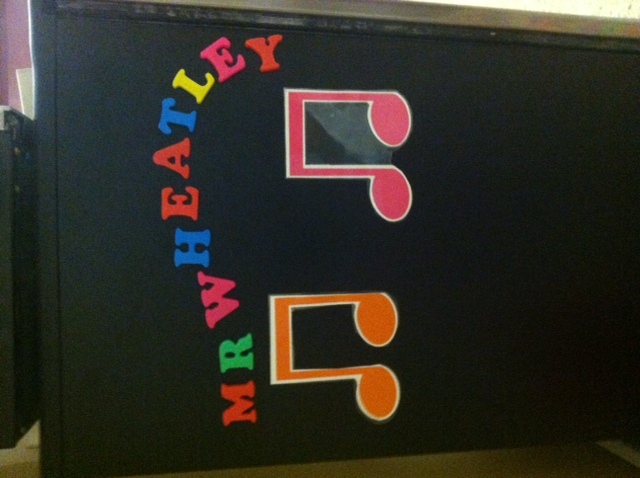 I will forward on to our music teacher!!! Happy Teacher Appr Week to you too!!!! Thank you for such a creative message! You are more than welcome Mrs. Jones! Now the whole world knows just how wonderful you are!